I’ll admit it’s been a while since I’ve played a Super Smash Bros game. In fact, you would almost consider me a new player to the series. It’s been that long. And while I got on board early and played the original game on my Nintendo 64 way back in the day, I never got around to getting (or playing) either Brawl or Melee on the Gamecube or Wii. I still remember a day when you only had a small handful of characters to choose from and a small smattering of arenas in which to battle. The number of arenas in the new Super Smash Bros. for Nintendo 3DS, and the characters you have to choose from when you start the game, is massive. And varied. Starting off Super Smash Bros. for Nintendo 3DS you already have a stock of dozens of characters to choose from, all widely varied from the core Nintendo mascots and icons you’ll know if you’re a fan of Nintendo. Sure you have Mario & Luigi, Peach, Bowser, Link, Kirby and the rest of the familiar faces. But you’ll also see newcomers like MegaMan, the Villager from Animal Crossing, the Wii Fit Trainer and Little Mac from Punch-Out!! among others. When you add Sonic the Hedgehog, PAC-MAN and a host of other unlockable characters (which I won’t spoil for you here) you have one wild and good time. So stages? There are lots of them. There are stages of various styles and difficulties, and they are all based off of the games from which the characters are from. There are ones based off Super Mario, The Legend of Zelda games, Animal Crossing, Pokémon, Donkey Kong Country and a host of others. Better still, when you do unlock new characters you will also unlock a new battle arena at the same time. What about the different modes of play? Well Nintendo has gone all out with new and returning modes, one of which is exclusive to the Nintendo 3DS version of the game. 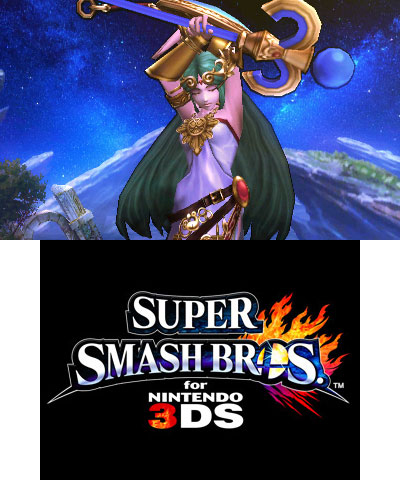 Of course you have Smash, which is the classic mode which lets one to four players battle it out in a free for all. This is the party mode where you can just play matches as much as you want, either alone with cpu opponents or with friends, trying to launch opponents off the screen. You can adjust the rules for each battle, like setting a time limit and what items you want to be available for use. There is the classic mode, which is a single-player mode where you battle through stages until you reach the end boss, the returning giant hand which tries to swat, flick and smash you into oblivion. The mode has an interesting format where you actually get to somewhat decide your fate with each battle. Before each round you slide along a path and get to choose which path you take. Your opponent depends on the path you choose, and luckily the screen displays an icon to give you an idea from which series your opponent might be. Of course the rules of the battle aren’t clear until you get there. You may be facing off in a one on one battle, facing a three-on-one team battle, getting some help in a two-on-two match or facing off against a metal opponent. The idea is kind of neat. Another neat idea is collecting coins along the way, which can be used to purchase trophies. (You can also use playcoins). Not only can you get coins in the way, but before each round you stop a spinning roulette wheel to also win you coins, trophies and custom clothing/battle gear for your characters. You can also bring your Mii to the battle this time around, decked out in some custom warrior ware (see what I did there?) and battle gear. You can also save characters with custom gear and movesets. The new mode to the game, which is exclusive to the 3DS, is Smash Run. This new mode gives up to four players five minutes to fight solo through a huge battlefield while taking down recognizable enemies from almost every major Nintendo franchise, as well as select third-party games. Defeated enemies leave behind power-ups to collect, which can be used in a final, no-holds-barred battle between players once the five-minute time limit is up. It’s pretty fun to play, though I sucked particularly hard in comparison to my cpu opponents. All-Star mode challenges you to battle classic video game characters in chronological order based on the year they were introduced. In this mode you get one life. Get smashed and it’s all over for you. Though between rounds you get a chance to use a one-shot of one of three healing items. Other modes include Stadium, composed of the Target Blast, Multi-Man Smash and Home-Run Contest mini-games and Training, where you can practice out your moves in a controlled environment. Finally there is Challenge, where you can unlock new items, stages and trophies by completing a series of challenges, many of which aren’t revealed to you. It’s kind of like achievements and it gives you something to strive towards other than just duking it out. The characters really handle well too, with the various attacks not too complicated to get a handle on while also being more than just single button presses. One thing that I customized right away was the controls scheme. I removed jump option from pressing up on the control stick and relegated (X) and (Y) to jumping. I found this a better balance to control my attacks, as pressing up and one of the attack buttons dishes out different attacks. Removing jump made it easier to get those attacks out, in my experience anyway. Otherwise the characters are pretty balanced and no one character is vastly superior to the other. You won’t be handicapped if you use a smaller character. The Villager, for example, can hold his own with Bowser. The game really looks great as well. From the screenshots it’s hard to really tell, especially on a large computer monitor. 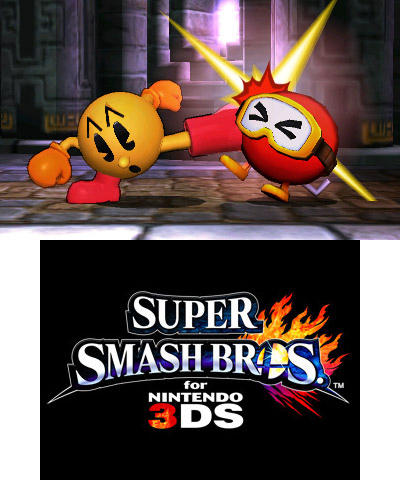 But on the 3DS screen the characters and game look great, especially in 3D. And if you’re concerned with that black outline that you’ve seen in the screenshots, you can reduce or even remove it entirely. Another facet of the game is the soundtrack, which is absolutely amazing. There are dozens of remixed music pieces from a wide variety of games and they are all fantastically done. Not only that but if you just want to sit and relax with some music you can go into soundcheck mode, play a piece and put it on random/repeat/shuffle and enjoy the music all you want. Nintendo is also planning on releasing a full soundtrack for the game as a special reward for those purchasing both the 3DS and Wii U editions of the game. There is only one thing that I didn’t really like, and that was the lack of Miiverse functionality. Presumably in an attempt for people not to spoil and show off unlockables, you can’t access Miiverse while the game is in standby like you can for every other title. So there is no sharing screenshots of your battles, which is a shame because I accidentally got a pretty funny one of PAC-MAN and Diddy Kong in a precarious position while pausing the game. 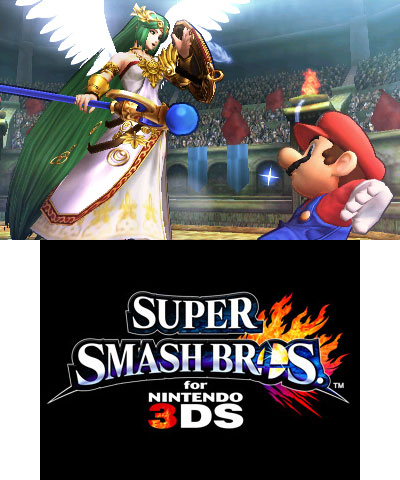 If you’ve ever played a previous Super Smash Bros. game you’ll absolutely love and enjoy the new 3DS game. If you’ve never played a game in your life you’ll easily pick up the game and not want to put it down. Nintendo has done it again and made another fantastic game. Even if you’re waiting for the Wii U game, you should definitely pick this one up. The Wii U one for home and this one for on the go.